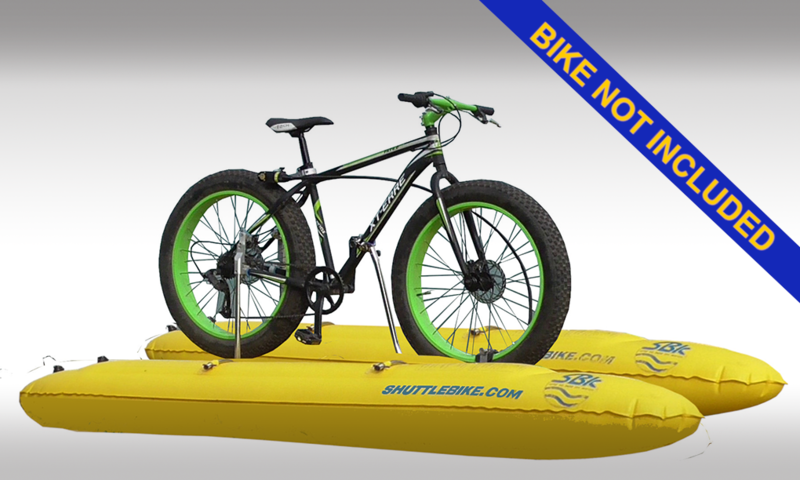 KIT EVO 2.0 FOR MOUNTAIN BIKE 26"
KIT WHIT FOLDING BIKE 20"
KIT EVO 2.0 CITY BIKE- MOUNTAIN BIKE 28"
KIT EVO 2.0 FOR MOUNTAIN BIKE 27,5 -29"
KIT EVO 2.0 FOR FOLDING BIKE 20"
KIT EVO 2.0 FOR FATBIKE 26"
SHUTTLE BIKE KIT IS A 100% MADE IN ITALY , HAND MADE, HIGH QUALITY PRODUCT. IT IS SPECIALLY DESIGNED TO OFFER OPPORTUNITIES FOR SPORT, FUN, AND ADVENTURE YOU NEVER THOUGHT COULD BECOME REALITY. 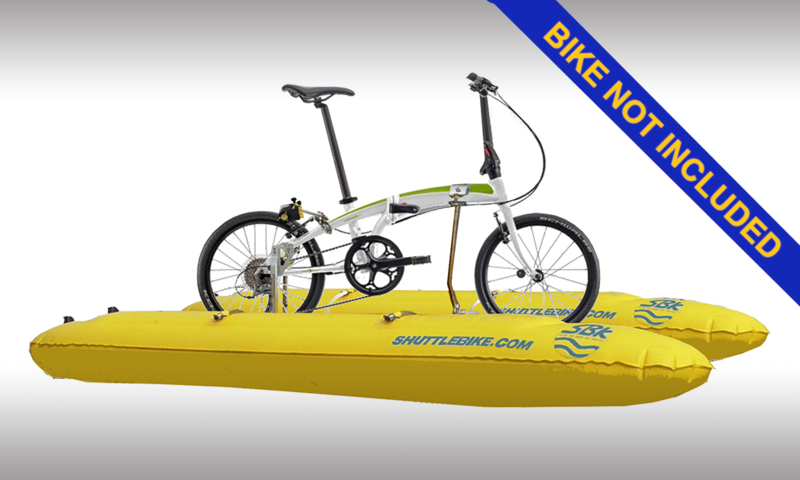 FOLLOWING FEW AND EASY STEPS YOU WILL TRANSFORM YOUR BIKE IN A REAL WATER-BIKE : YOU CAN CARRY IT IN A SIMPLE BACKPACK, REACH THE WISHED PLACE AND ... START TO PEDAL ON WATER! 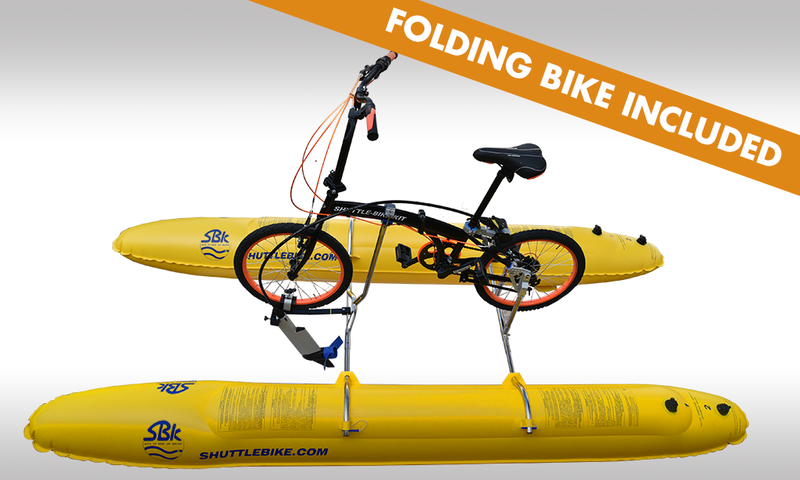 For fun or for practice, SHUTTLE BIKE KIT® does not require special skills : it can be used by everyone, even if you are not a good biker or swimmer. 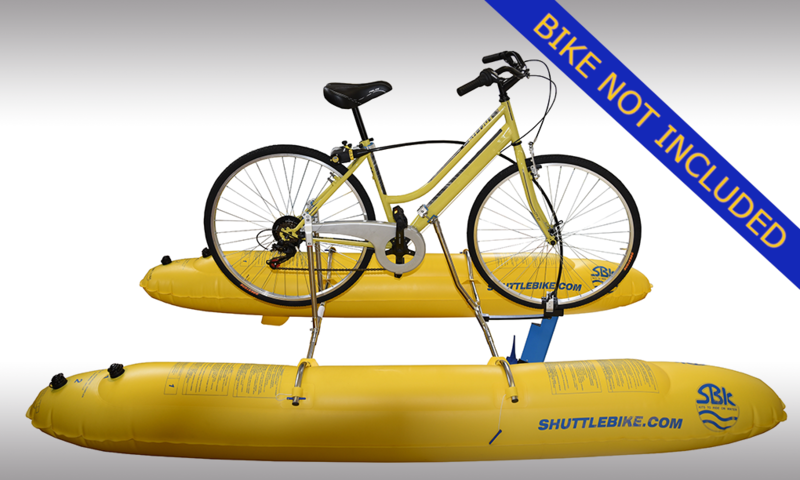 It allows you to experience unique emotions , exploiting the opportunities of a real water transportation respecting the environment. 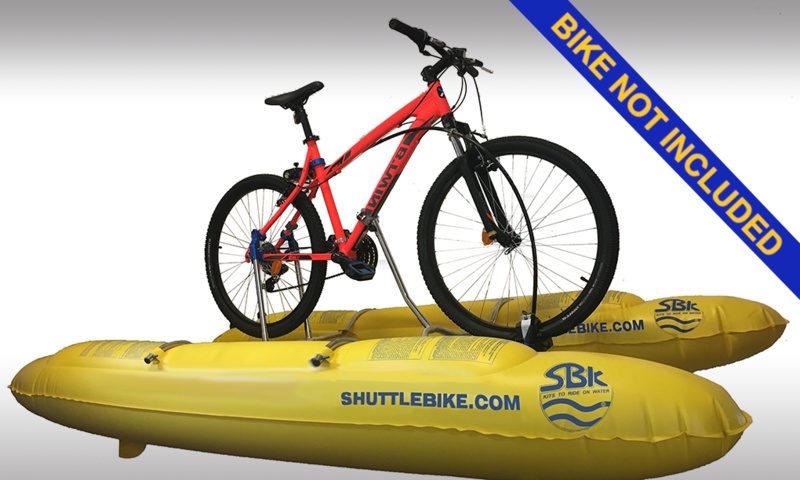 The uniqueness of the kit is also an opportunity to enhance your business offering recreational services near seas, lakes and rivers. 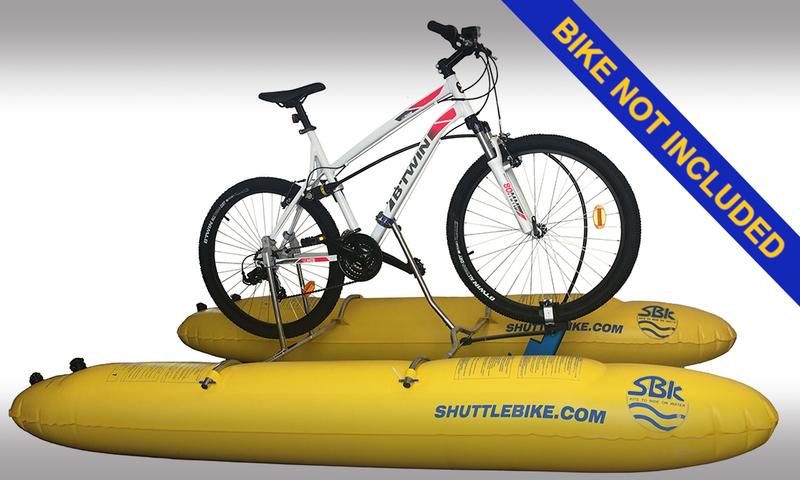 Many resorts and seaside hotels all over the world have already chosen SHUTTLE BIKE KIT® to attract new customers , offering a trendy product highly appreciated by the public. DO YOU HAVE A SPECIAL BIKE? CONTACT US FOR A CUSTOMIZED QUOTE! 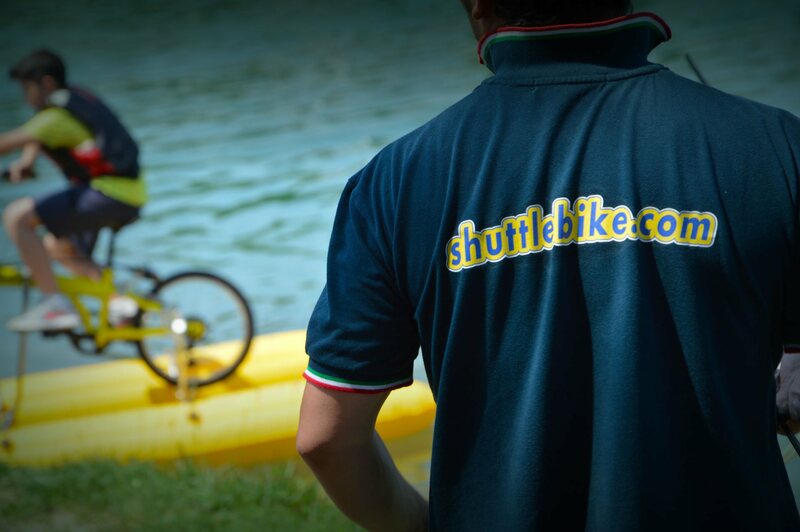 SHUTTLEBIKE IS THE REAL WATER BIKE, ECOLOGICAL AND FUN!! NEW SPORT FOR NEW ADVENTURE.